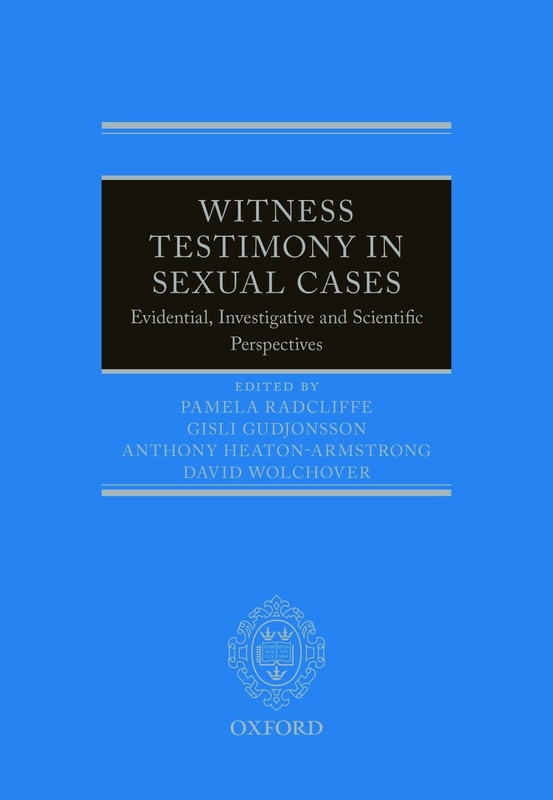 ‘Witness Testimony in Sexual Cases’, with a foreword by Lord Thomas of Cwmgiedd, the Lord Chief Justice, comprises a set of searching and useful essays on this difficult and controversial topic by leading lawyers, scientists, psychiatrists, psychologists and others. It successfully sets out to assist Judges, legal practitioners and investigating police officers in the quest for the truth when sexual assaults are alleged. It compliments ‘black letter law’ text books on the law relating to sexual offences and constitutes a balanced treatment of those areas which are of importance both to complainants and suspects/defendants alike. It follows and supplements its sister volumes in the Witness Testimony series – ‘Analysing Witness Testimony’, Blackstone Press , 1999 (with a foreword by Lord Bingham of Cornhill when Lord Chief Justice) and ‘Witness Testimony: Psychological, Investigative and Evidential Perspectives’, Oxford University Press, 2006 (with a foreword by Lord Justice Judge, as he then was) and is a most welcome addition to these. The book covers everything you need to know about the trial of sexual offences’ – from the speech given by Lord Thomas, the Lord Chief Justice, at the launch event held in Grays Inn on 14th March 2016.